← Can We Eat Acorns? When you are considering bug out survival shelter options, weight and footprint size (space in bag) are two main points of concern. The lighter weight and smaller collapsed size the better. 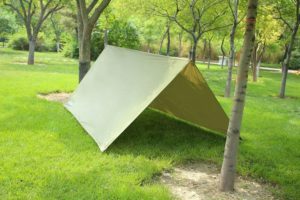 Tarps can serve multiple purposes in a bug out situation. One of them is to make a quick and easy emergency shelter. You can configure your makeshift tent to your preference. As for us, we like the tried and true center ridge layout shown here. This is the lightest weight, smallest option in the way of the survival shelters, but the downside to this type of tent is that there is no built in floor and you have at least one side open to the wild, depending on your set up preference. 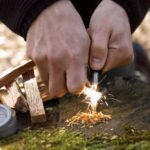 Still, these work well in a pinch, especially if you have a lot of food, water, and other provisions to carry in your bag. If bag space is at a premium, this just might be your best bet. One thing to remember about this type of shelter, though, is that in cold climates, you would nost likely need a fire to help provide heat to combat the open side(s). Going in order from lightest/smallest to heaviest/biggest, next in line is the tube tent. Consider them a tarp that some nice person has sown into a ready made tent for you. 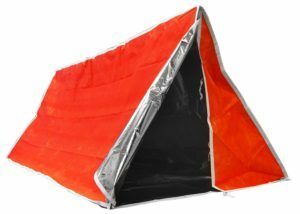 These extremely lightweight tents have a floor and some models, like the one shown on the right, even have a front flap that you can draw closed for extra security and warmth. Most of these types of tents come with a coated interior that works well to reflect body heat back and insulate the inside of the tent. In colder weather, this can make a lot of difference. These types of shelters come in one person and two-person sizes. If you are packing for a small family, you can have a couple of these in your pack and still save room over carrying a regular tent. If the thought of sleeping outdoors for an extended period of time is not your idea of fun, or if you just want the added security of an actual tent, look to a backpacking tent. These tents are designed to pack up in a small, tight package and to be as light as possible. The backpacking tent shown to the left is one of our favorites. 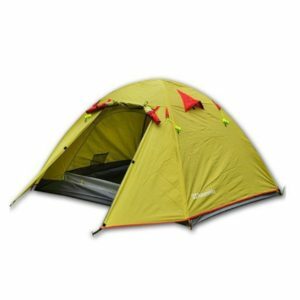 This particular tent comes in a variety of sizes ranging from 1-2 person up to 3-4 person. While the 2 person model comes in at 4.5 pounds, which is slightly more than we recommend, the 3-4 person model weighs only 6.2 pounds, which if you have a family of 4 comes in well under the 8 pound recommendation. Keep in mind, it all comes down to size, weight, and personal preference. 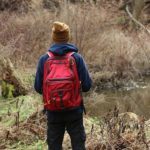 Take a close look at everything you need in your bug out bag, how many adults there are in your party to help carry the load, and how much weight each is capable of carrying without too much strain. 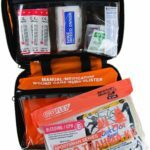 Once you have that information at hand, then choose the bug out survival shelter that best meets your needs.